Matteo Trentin (Italy) has taken the victory at the road race of the European Championships. The race came down to a reduced sprint where the Italian showed to have the better legs. The 235-kilometre race took place on a circuit around Glasgow. The first breakaway of the day was formed by Krists Neilands (LAT), Robert-Jon McCarthy (IRL), Josef Cerny (CZE), Roland Thalmann (SUI), Polychronis Tzortzakis (GRE) and Matthias Krizek (AUT). Mechanical problems, crashes and illness left several riders out of the race. Some of the affected were Peter Sagan (SVK), Gonzalo Serrano and Eduard Prades (SPA), among others. The first breakaway was caught after 100 kilometres of racing and a new one formed with 60 kilometres to go. This group included riders like Tosh Van Der Sande, Jelle Wallays, Wout Van Aert (BEL), Mathieu van der Poel (NED), Jesus Herrada (SPA) and Matteo Trentin (ITA). This group got a gap of more than two minutes with the peloton but the high pace left some of them struggling behind. With 9.5 kilometres to go, Dutchman Maurits Lammertink fell in a curve and took Xandro Meurisse (BEL), Pierre-Luc Perichon (FRA) and Michael Albasini down with him. The rest of the riders reduced the speed for a moment to allow them to come back, but after seeing that it was not happening, they set a good rhythm again. At seven kilometres from the end, Davide Cimolai (ITA) launched an attack but he was reeled back in almost right away. Meurisse rejoined the front group at the last kilometre, as the others prepared to face a final sprint. 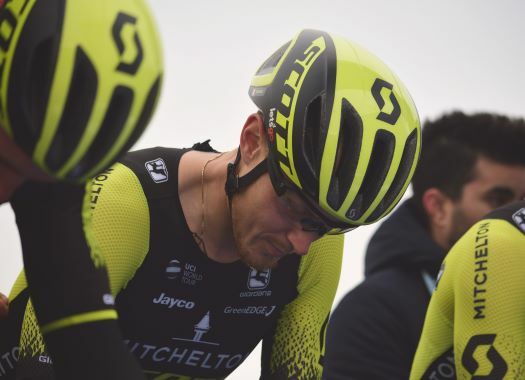 Cimolai did a good job by putting Trentin in a good position and the Italian of Mitchelton-Scott could finish it perfectly. Van der Poel and van Aert did their best but had to settle with silver and bronze.